Kleinn Automotive has released the first fully submersible 12 volt automotive air compressor on the market. Designed specifically for the off road enthusiast, this heavy duty air compressor is capable of running fully submerged under water. Regardless of the terrain or river crossings, this air compressor is ready to take on the elements. Kleinn’s engineering team developed the new 6450RC air compressor with modified seals & gaskets to make it completely waterproof. 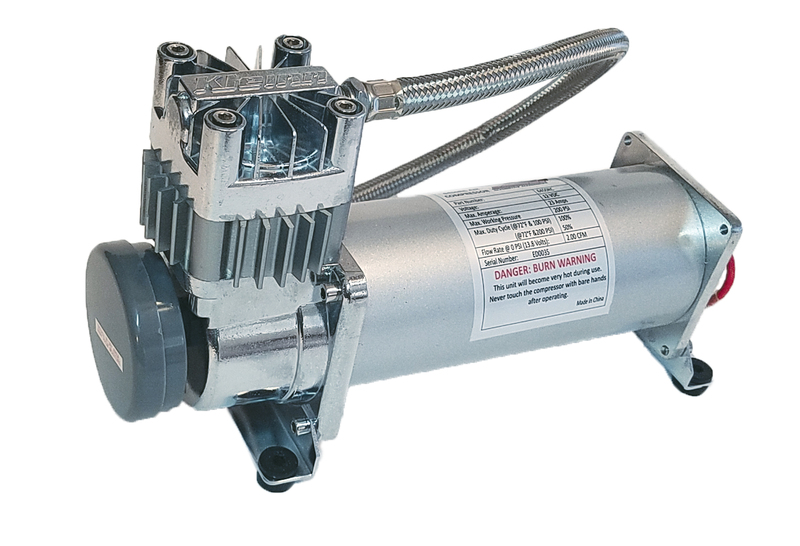 The 100% duty-cycle compressor is rated at 150 PSI and includes a snorkel air intake system with filter to locate the air intake up and away from dirt, water and debris insuring years of trouble free service.